If you are looking for a snack that can get done under 30 mins and disappears the very next minute, then you are on the right spot. As I was saying, somehow this edition, I find myself so unprepared with any of the dishes and so had to literally stretch myself so much to get the dish done with the step by step pictures as well. I was supposed to make this yesterday, somehow the evening just flew and I thought I would make it this evening. Again I came back home for a quick dinner preparation. It was easy as I was making Uggani and was elated with the thought that Athamma will be home tomorrow morning. Boys were finally asking when their Nannamma was coming home. She went visiting her elder daughter and as always we said she has gone to hospital. That’s always been the excuse we give the boys for her absence. Anyway this dish hardly took more than 10 mins to get it done. 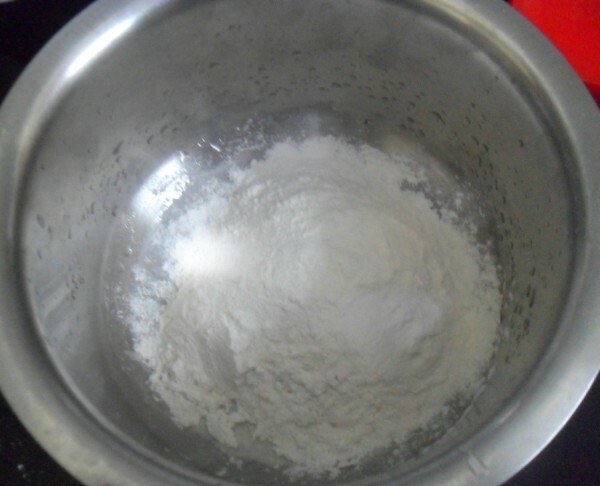 It would also have to do with the small quantity I made. Having always backed muffins and cakes, baking a pancake was sounding different. And I didn’t want to take chances for this recipe to fail. So imagine my pleasant surprise when all three of them gobbled up whatever was made and wanted more. The best part was asking this to be made for tomorrow’s school snacks. This statement always gives me sign that the dish was a success. 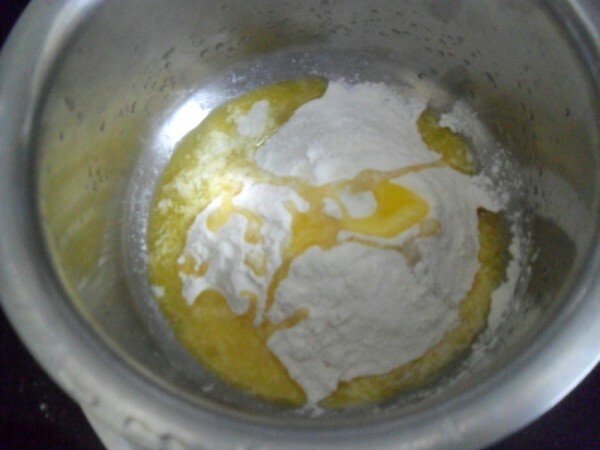 In a bowl, take the flour, baking powder, icing sugar and melted butter. Mix well. 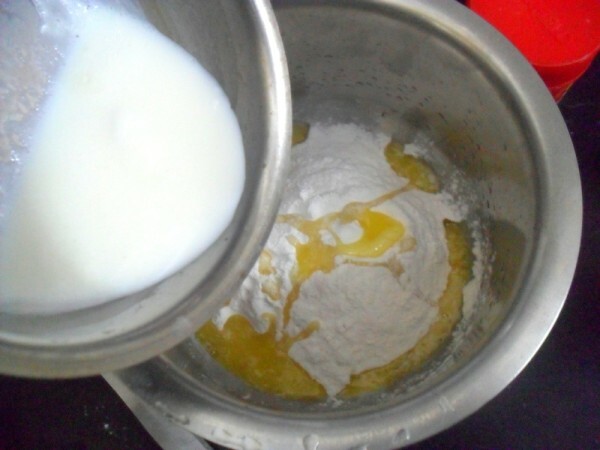 When you have a smooth mix, slowly add the milk and blend to a dropping consistency. 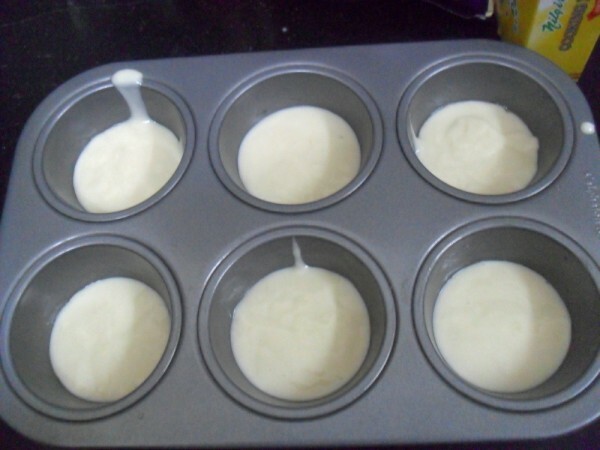 Grease a muffin pan with butter and pour into each mould to a 1 inch. Bake at 185 C for 15 mins. Since you don’t let this raise up as much as a muffin, pour a very thin layer for it to get baked well. 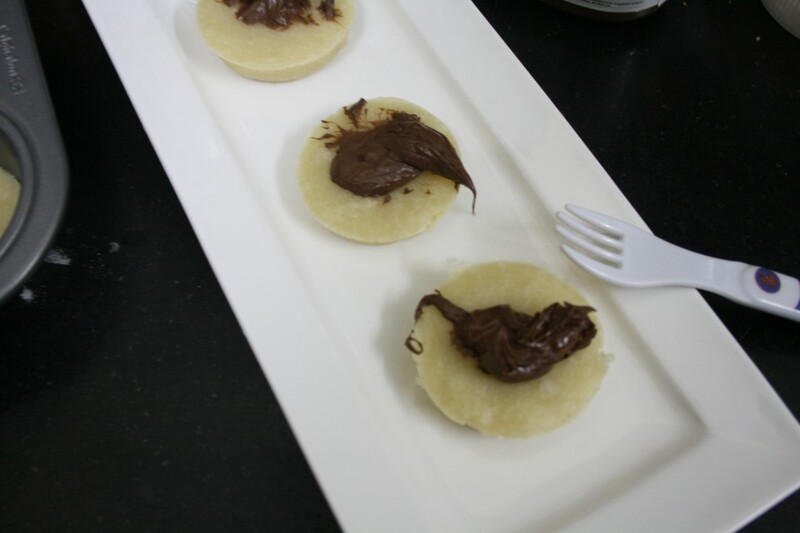 Love baked pancakes, loving those mini pancakes, droolworthy. 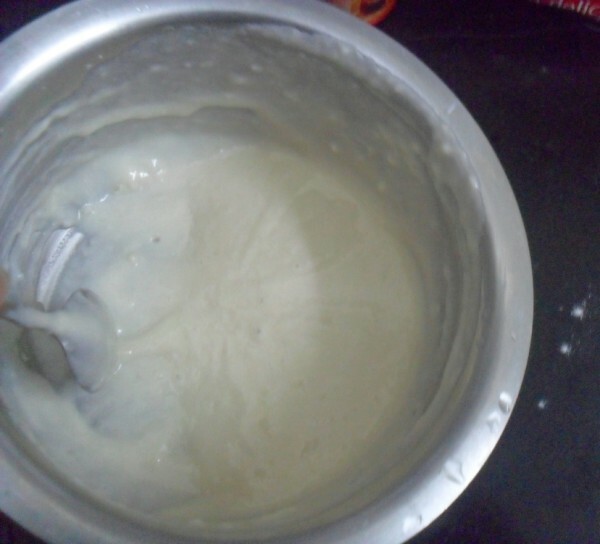 Very innovative recipe Srivalli. With the Nutella on top, I can see how fast they disappeared! 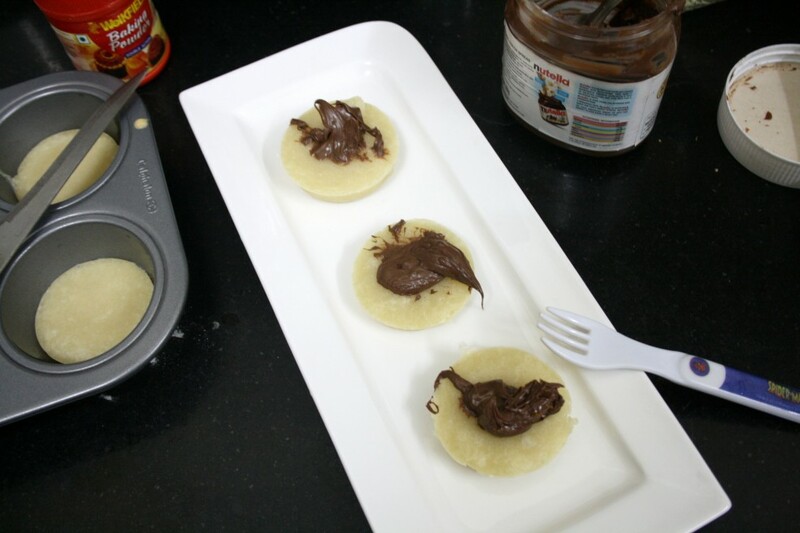 Baked pancake looks so yummy and with all Nutella I can munch them all ! innovative recipe ! nice try ! Baked pancakes is new to me. They look yumm!! Again my son would love these. A good substitute to regular pancakes. I like this idea of baked ones especially because you don't have to be flipping them and they are done in the oven.